Please fill out this form to determine services and pricing for your location. For which service(s) would you like pricing? Please use our partners web page to find a local dealer. Just click on your country to find an available dealer. 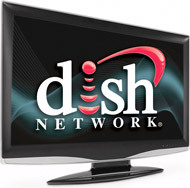 If your country is not available, please email us at dish@txdish.com with your details and location. We will reply with what is required. Equipment is free, but we must preactivate. Press 'Submit' if you would like us to contact you with more information regarding equipment costs or if you have any other questions.